School Cancels Classes After Parents Threaten Violence Against Trans Student: "A Sharp Knife Will Do The Trick" - Joe.My.God. 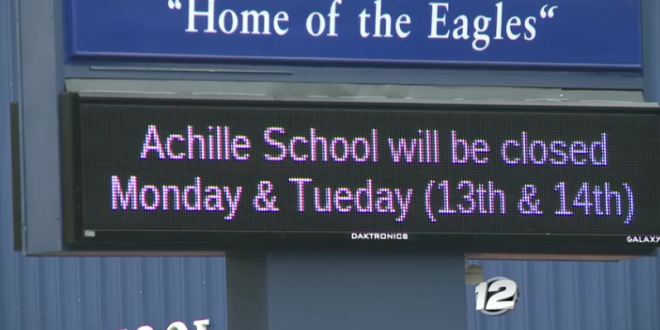 Several law enforcement agencies have stepped in after parents made threats to harm a 12-year-old Achille Public Schools student on social media last week. 12-year-old Achille Schools transgender student Maddie’s mother Brandy Rose says her family moved to Achille from Sherman when Maddie was in 5th grade. “She’s been living as female for years– she started at Achille as Maddie,” Rose said. “We had no problems when we first started.” Trouble started when Maddie was accused by another student peeping under a bathroom stall.